Pope Francis will travel to the Greek island of Lesbos on the frontline of Europe’s refugee crisis next week, Athens announced yesterday (5 April), as a controversial EU accord to send migrants back to Turkey stalled. The trip by the pope, who will be accompanied by the head of the Eastern Orthodox Church, is likely to pile pressure on EU leaders already facing criticism over the controversial deal struck last month. “The Greek government will welcome Pope Francis and the Ecumenical Patriarch Bartholomew as valuable defenders of support to refugees,” a government source in Athens said, adding the trip would happen on 14 or 15 April. “Greek Prime Minister Alexis Tsipras will go with (them) to the island of Lesbos,” a tourist hub that has been transformed into a major gateway for new arrivals seeking a better life in Europe. Hundreds of thousands of people have landed on the island’s shores over the past year after crossing over from Turkey in flimsy boats, part of Europe’s worst migration crisis since World War II. 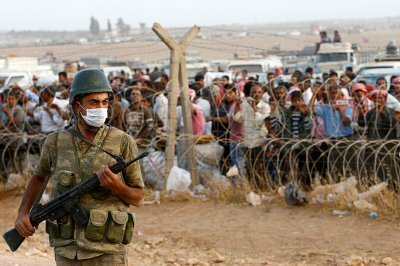 Brussels sought to tackle the problem by signing an agreement with Ankara last month to send new arrivals back to Turkey, in exchange for resettling some of the millions of Syrians living in refugee camps on its soil. 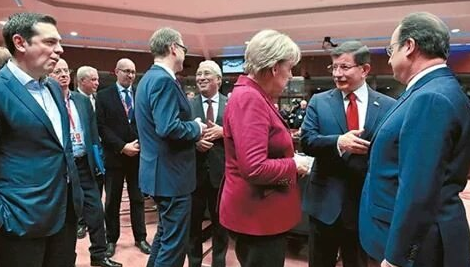 The EU summit last week (7 March) failed to reach a deal with Turkey to stem the unprecedented migrant crisis. Today and tomorrow (17-18 March), EU leaders were expected to talk about the economy and the climate but these have been pushed to the margins, as the meeting will be dominated by the refugee crisis. The deal has already contributed to a slowing of new arrivals, and Germany’s interior minister said Tuesday that his country could lift temporary border controls brought in last year by mid-May if the arrivals continue to dwindle. But the deal has been slammed by rights groups, the UN and even the pope, who used his Easter address to criticise the “rejection” of refugees, and has been slowed by a last-minute rush of asylum applications. 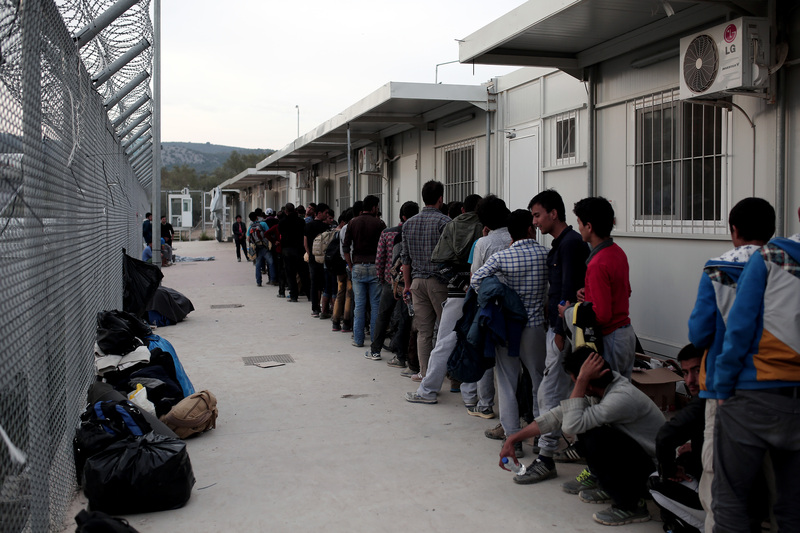 International aid organisation Doctors Without Borders (MSF) said yesterday (23 March) it had suspended activities at a refugee centre on the Greek island of Lesbos to avoid being complicit in an “unfair and inhumane” EU deal to send newcomers back to Turkey. The Greek Orthodox Church said it had approved the papal visit to Lesbos after Francis expressed a desire to “shed light on the major humanitarian problem” of the migrant influx. Tensions were running high on the Greek islands after the first tranche of 200 migrants were deported on Monday. A Turkish official said the next transfer “has been postponed to Friday” at Greece’s request. The process has been slowed “by an increase in asylum requests” in the last few days on Lesbos and another Aegean island, Chios, said Greek migration spokesman Yiorgos Kyritsis. On Samos, less than two kilometres (one mile) by sea from Turkey, Ali, a Pakistani, told AFP that 100 migrants had gone on hunger strike. 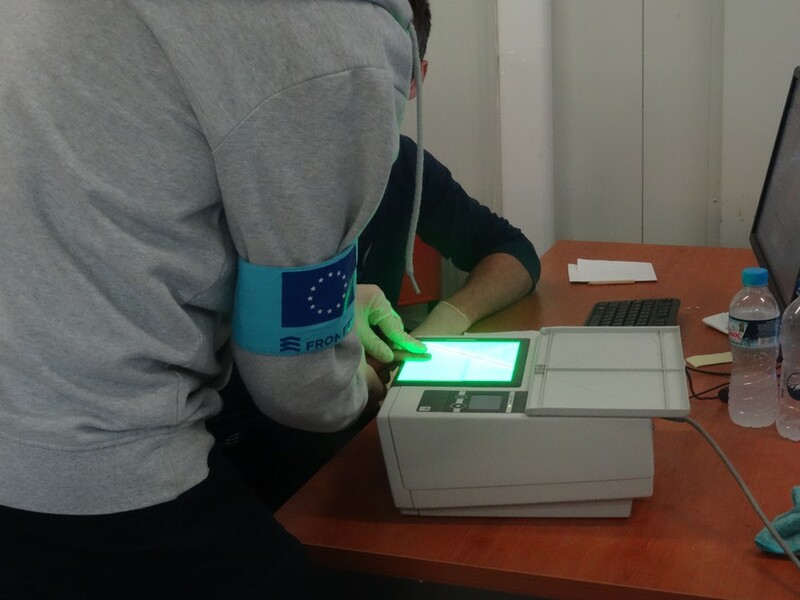 All “irregular migrants” arriving in Greece since 20 March now face being sent back, although the EU deal calls for each case to be examined individually. For every Syrian refugee returned, another Syrian refugee will be resettled from Turkey to the European Union, with numbers capped at 72,000. 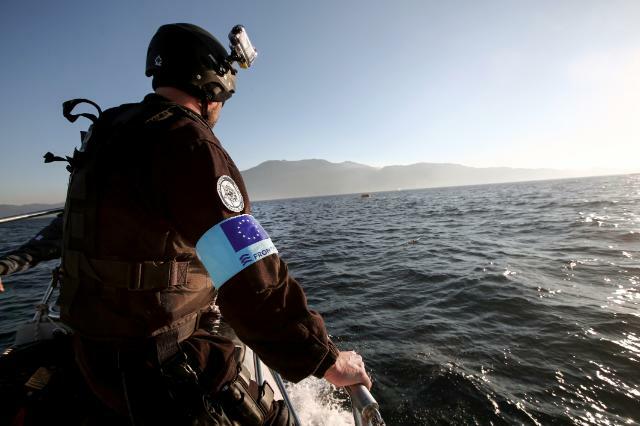 EU border agency Frontex described the first deportation operation as “orderly”, but on Tuesday the UN’s refugee agency said some of those sent back may not have had access to proper asylum procedures. “We are concerned that 13 people, most of them Afghans, who expressed the wish to request asylum were unable to be registered in time,” the UNHCR’s representative in Greece, Philippe Leclerc, told AFP. The numbers crossing from Turkey have dropped since the deal came into force, with hundreds landing on the Greek islands per day as opposed to thousands. This, along with a series of border closures further up the migrant route, has reduced the number of new arrivals in northern Europe — the main destination for the more than million people who arrived in Europe last year.